THP 1-13-010 HUM (Wintergreen THP) Humboldt Redwood Company, 448 acres; 82% group selection, 11% no-harvest, 7% selection logging. Grizzly Creek (HUM: T1N R2E Sec.1; T1N R3E Sec.5, 6). Winter operations, moderate erosion hazard, steep slopes over 65%, steep roads, landslide terrain, debris slides, road failure sites, 21 road drainage work sites, impaired 303.d watershed, coho watershed, large tree helicopter logging, 11 spotted owls within 1.3mi, trees up to 42” dbh. Estimated public comment deadline: 03/27/13. 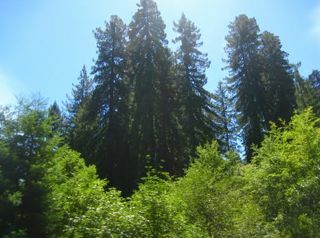 This THP is about 10 miles east of Rio Dell, CA, near Highway 36 and Grizzly Creek Redwoods State Park. 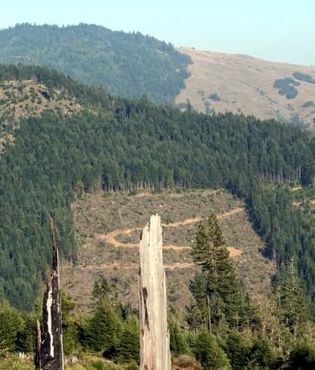 Humboldt Redwood Company wants to tractor, cable and helicopter log at an elevation of 450 - 1600 feet in the Grizzly Creek watershed. Grizzly Creek flows into the Van Duzen River, which is impaired for sediment and temperature due to intensive logging in the area. Helicopter logging is planned likely to remove some large trees from 5 stands that contain marbled murrelet habitat. HRC also plans to use tractors on steep slopes in units designated for cable logging. There are several areas with landslide terrain and debris slides; mostly along stream channels. More information is available on the THP Tracking Center website. 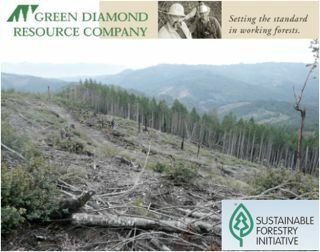 Is Green Diamond Resource Company clearcutting their way to FSC labeling? Recently, Green Diamond Resource Company (formerly Simpson Timber Company), SCS Global Services (SCS), and the Forest Stewardship Council (FSC) issued a joint press release announcing Green Diamond Resource Company’s California Timberlands have been certified as meeting the forest management standards established by the Forest Stewardship Council (FSC). SCS Global Services, an international corporation that provides certification contracting services to a number of industries, conducted, on behalf of the FSC, the evaluation, or audit, of Green Diamond Resource Company’s logging practices. This is an interesting development, given the fact that Green Diamond Resource Company has clearcut over 9,000 acres of their own timberlands since 2010 (See THP Tracking Center CA Private Lands Logging Statistics for 2010, 2011 & 2012). FSC allows some mimicking of natural processes; but the reality is Green Diamond Resource Company has already converted far more of their lands to plantations through clearcutting than either fire or insects could. And since clearcutting is the cheapest way to log, it continues to work very well for their bottom line, so FSC labeling gives them the prefect excuse to greenwash. More information is available on EPICs BLOG "Forest Products Marketing Firm Commits Major Blunder in the Redwoods" and on the THP Tracking Center website. THP 1-13-009 MEN (Sherwood Orange THP) Campbell Timberlands, 365 acres; 56% clearcut, 35% selection, 8% variable retention logging. Upper S. Fork Ten Mile River, Duffy Gulch (MD: T18N R16W Sec.1; T19N R15W Sec.18, 19, 30, 31; T19N R16W Sec.25, 35, 36). Wet weather operations, high erosion hazard, steep slopes up to 85%, 16 landslide terrain sites, debris flows, road failure sites, 49 road drainage work sites, wet areas, impaired 303.d watershed, coho watershed, 14 spotted owls within 1.3mi, trees up to 68" dbh. Estimated public comment deadline: 03/18/13. This THP is about 10 miles east of Fort Bragg on Sherwood Ridge at an elevation of 560 - 1760 feet; between the North Fork of the Ten Mile River watershed, and the Noyo River watershed. Both watersheds have a long history of intense logging and are listed as “impaired” due to excessive sediment and elevated temperatures. Campbell Timberlands wants to tractor and cable log on some very steep and unstable slopes with a high erosion hazard. According to the geology report, there are 16 landslide related sites in the area; 1 site may have failed because of a 1999 clearcut, and there is a high possibility of future debris flows on another site with a steep headwall swale that Campbell wants to log on. The THP is also adjacent to the Boys and Girls Club of San Francisco lands, and there is marbled murrelet habitat near a rock pit and haul road. More information is available on the THP Tracking Center website. 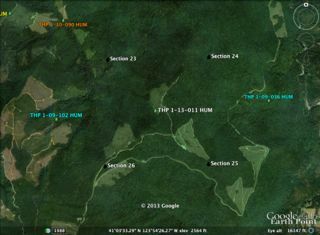 THP 2-13-007 PLA (Deller Springs THP) New Forestry LLC, 55.2 acres; 100% clearcut logging. Big Mosquito Creek, Peavine Creek (MD: T14N R12E Sec.14). 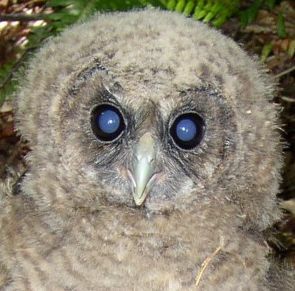 Winter operations, moderate erosion hazard, slopes up to 65%, 2 CA spotted owls within 1.3mi, trees up to 100 years old. Estimated public comment deadline: 03/20/13. 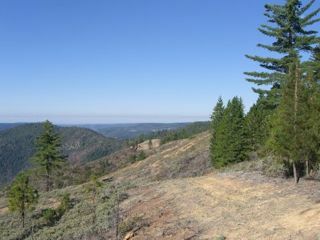 This THP is about 12 miles NE of the town of Foresthill, in the Mosquito Ridge area between the Middle & North Forks of the American River. 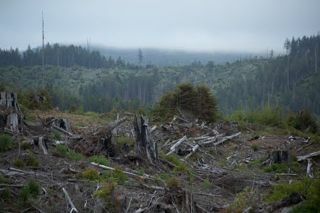 New Forestry LLC is proposing to tractor and cable log clearcut 55.2 acres of forestlands at an elevation of 4,600 - 4,800 feet. The THP area is a little over a mile west of Big Trees Grove, the northernmost grove of giant Sequoias in the Sierra Nevada range. More information is available on the THP Tracking Center website. THP 1-13-007 MEN (Orchard THP) Jackson State Forest, 289 acres; 85% selection, 15% group selection logging. Mitchell Creek, Caspar Creek (MD: T17N R17W Sec.3, 10). Wet weather operations, high erosion hazard, landslide terrain, road failure sites, steep slopes over 70%, 24 road drainage work sites, 20 acres of large tree logging, bicycle trail, coho watershed, 3 spotted owls within 1.3mi, red tree vole sightings, california pinefoot, trees up to 36" dbh. Estimated public comment deadline: 03/14/13. This THP is on the Mendocino coast and about 4 miles east of the town of Casper, CA at an elevation of 120 - 880 feet. The Casper Creek watershed is an important steelhead and coho fishery that drains directly into the Pacific Ocean. 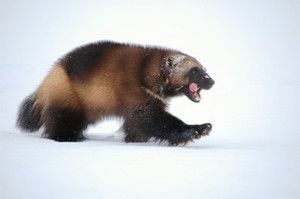 Jackson State Forest is planning a tractor and cable logging operation that includes 20 acres of large tree logging in a forested area that has been untouched since the late 1800s. The area also has a poorly drained jeep road and ditch system that needs repair, and 24 road drainage work sites including culvert repair/replacement and dip rocking and re-construction. 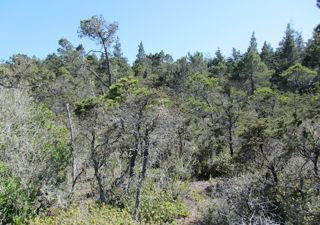 There is a single track bicycle trail that runs along the north side of the project area, and some uncommon stands of Pygmy Cypress and Northern Bishop Pine. 3 individuals of California Pinefoot are within the plan area, and a population of Leafy Stemmed Miterwort lie just outside of the THP. More information is available on the THP Tracking Center website. THP 2-13-006 PLU (High Country THP) Soper Wheeler Company, 2778 acres; 70% group selection, 16% sanitation salvage, 12% shelterwood, 2% rehab, 1% clearcut logging. Little Grass Valley Reservoir, Onion Valley Creek, Claremont Creek, Bagget Gulch, Rabbit Creek, Cleghorn Bar (MD: T21N R9E Sec.2, 3, 4; T22N R9E Sec.15, 22, 23, 24, 25, 26, 27, 34, 35; T23N R9E Sec.25, 26, 35, 36; T23N R10E Sec.30, 31). Winter operations, high erosion hazard, slopes up to 50%, 38 road drainage work sites, wet area, impaired 303.d watershed, 12 CA spotted owls within 1.3mi, bald eagle within 1.5 mi, foothill yellow legged frog within 1 mi, adjacent to middle fork feather river roadless areas, pacific crest trail within .5mi, scattered large trees. Estimated public comment deadline: 03/14/13. This THP is about 10 miles SW of Quincy, CA, high up on the crest of the Sierra Nevada Range at an elevation of 5,100 - 6,700 feet. Soper Wheeler Company is planning a mostly group selection tractor logging THP with some sanitation salvage and modified shelterwood logging. They also will be logging in some nice high elevation red fir and lodgepole pine stands adjacent to the Middle Fork of the Feather River Roadless areas. 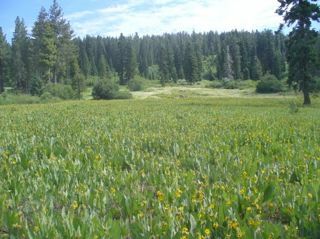 Section 15 is within a half mile of the Pacific Crest Trail, and a portion of the THP is close to Little Grass Valley Reservoir boat ramp and campground; a popular recreation area. More information is available on the THP Tracking Center website.